Showing 1 - 15 of 17 articles tagged "CBS Evening News"
CBS News president David Rhodes' future reportedly "hangs in the balance"
Glor, who was largely unknown when he replaced Scott Pelley last December, has lost 1. CBS News later corrected the "PUNISHING SYRIA" graphic from Tuesday night's broadcast. Are play-by-play sports announcers the new anchors? The two jobs are similar, but with the network news anchor job diminished, play-by-play announcers may be the most-trusted and recognizable faces on network TV. Another network news executive is leaving. 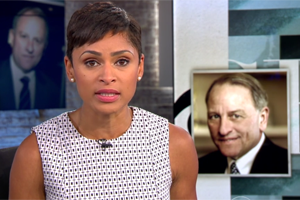 Another sexual harassment scandal has hit CBS News one week after the Charlie Rose debacle.